In 2008 my friend Hannah asked if I would travel with her to Ethiopia to visit an orphanage. 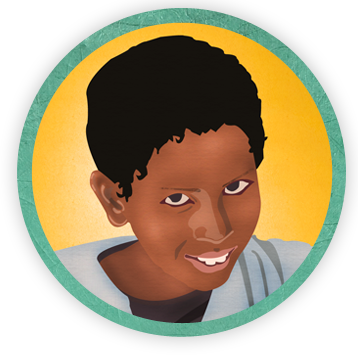 At the time, Hannah’s parents were in the process of adopting two children from the Layla House Orphanage in Addis Ababa and Hannah wanted the opportunity to spend time with her new family as quickly as possible. Immediately I asked what I should bring. Among the essentials, Hannah suggested I pack an extra camera for the children as they love to take pictures and together delight at the tiny screen as they scroll through their shots. I have always loved photography, and few things are more special to me than my old family photographs, so instantly I knew I had to get my hands on as many little point and shoots as I could. Only moments inside the orphanage, I handed out all of my cameras and watched in joy and awe as the scene Hannah had described unfolded in front of my eyes. It was then I felt a tap on my shoulder. “Camera” said a boy of about 9 through a smile that covered his entire face as he pointed at my new Canon Rebel DSLR sitting on my lap. With a tinge of reluctance, I placed the hippie-scarf strap around his neck while attempting to explain the definition of “gentle” and “my baby”. I followed the boy, Hailab, for the rest of the day as he snapped and snapped at everything in sight. He filled up my 32GB memory card in a matter of hours only to have me delete all of the photos so he could repeat the process again. We did this for six straight days. “haha, funny, happy” and that “Billy” was an American name. With a giant smile he said simply, “call me Billy” and went back to his photography.